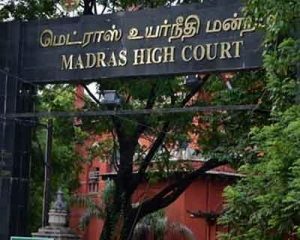 Chennai: Madras High Court quashed a resolution of Tamil Nadu Medical Council and restored the position of president to a doctor who had held that post before submitting his resignation to the body, which had accepted it, though he had soon taken it back. Owing to certain misunderstanding among members, TNMC President Senthil handed over an undated letter to an executive committee member, M S Asharaf. On August 13, 2016, Senthil wrote to council authorities, including its registrar and vice-president, apprising them that he had withdrawn his resignation. Though it was acknowledged by them on August 16, the council later said the resignation was accepted through a resolution at a council meeting on August 17. Senthil then filed a writ petition in the High Court against the council’s move. He submitted that since he had revoked his resignation before the alleged meeting, there was no offer of resignation for the council to accept. The council, however, argued that there was no necessity for it to accept the resignation letter and that mere sending of such a letter was sufficient to put an end to the tenure of the president. Senthil’s resignation became effective as soon as it was sent, the council contended. Justice Vimala, rejecting the submission, said such an option might be available to members but not for the president. “There cannot be an option open to the president himself to determine his post by his own volition without the necessity of the resignation being accepted by the executive committee. Permitting the president to tender the resignation without accountability would not be in the interest of the organisation also,” she said. Quashing the resolution, the judge further said, “in this case, before the letter of resignation was placed for acceptance, a letter of revocation has reached the hands of authorities concerned. Therefore, the alleged acceptance, even assuming it to be true, is not valid.